RLF is Employer’s Agent and Cost Manager to BAM TCP Atlantic Square Ltd for a new build, 300,000 ft² commercial office development over two buildings with a shared basement. 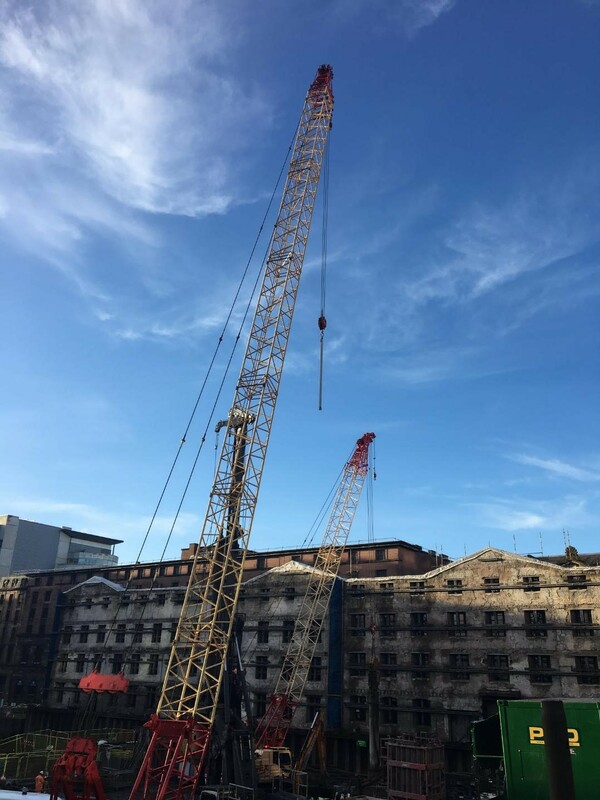 The project will revitalise a gap site within the heart of the city’s International Financial District. 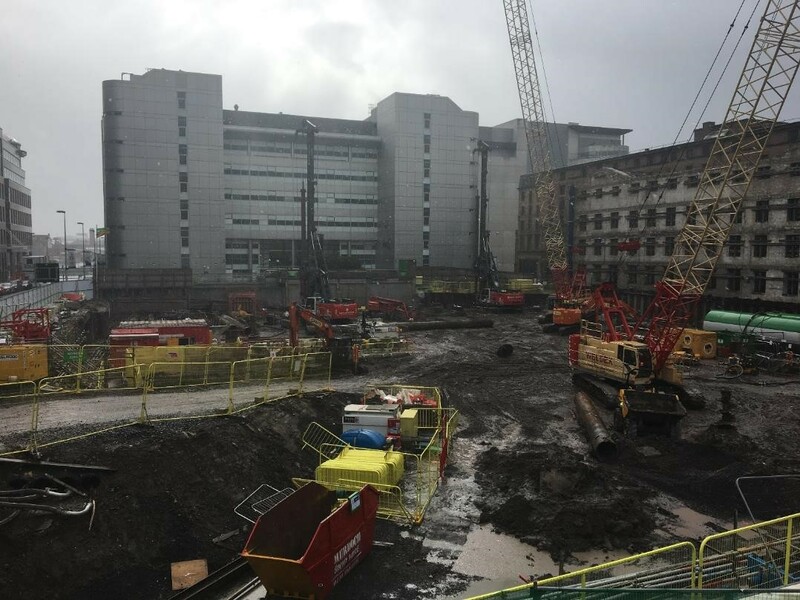 Starting on site in March 2018, works are currently progressing on site, with piling formation of the basement and the façade retention works all well underway and the tower crane piercing the Glasgow skyline. The slip-form cores will soon be rising from the ground and the concrete frame of the building will begin to take shape. Completion of both buildings is scheduled for August 2020.